The Hero’s Way Leadership Development Journey supports a full spectrum of leadership skills for Leaders at all Levels and nurtures a leaders attitude. 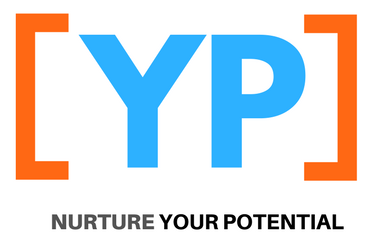 We at Y Potential understand that leading an organization is a powerful experience with extraordinary responsibility. Top leaders play an exceptional role in the growth and success of organizations. That’s precisely why they need to excel in new ways. The challenges of leadership are profound, complex and indispensable to get right. Through the awareness of the Psychology of Group Dynamics, leaders going through this journey will enhance their own “Leadership Identity” and have the tools required to inspire and move people to action and superior results. Develop self awareness at a deeper, more meaningful level. Understand how we affect and are affected by our environment. Enhance influencing and communication skills with boards, shareholders, partners & important stakeholders. Develop exceptional personal and organizational leadership. Understand what really drives them and others through the 8 Human Emotional Drivers. Learn to balance & sustain their own energy through Mind & Body connection. Who Should Attend Hero’s Way Leadership Program? More than 10 years of management experience & leadership responsibility for 100+ people. Strategic: setting & realizing vision, direction & goals. Overcoming obstacles: low initiative & cooperation, blame culture, apathy or low motivation, low trust, average personal effectiveness & success, fear, reactive not proactive, little personal fulfilment. Why Chose Hero’s Way Leadership Program? Individual leadership development in the context of advancing the business. Applied by some of the largest and fastest growing organizations in Asia & Middle East, like: Etisalat, Emirates, Cisco, Toyota, MTV, National University of Singapore, Microsoft and more. Conducted by Certified Directive Communication Practitioner and Trainer.